Silk is not only the ultimate in luxury; did you know that it is naturally hypoallergenic, helps regulate body temperature and is renowned for its health giving benefits for the skin and hair? Yes you heard that right. Due to its high protein content, silk unlike cotton, does not absorb moisture from the skin and hair, which helps to keep hair glossy and skin soft, and even helps to prevent facial lines. If that doesn’t make you want to rush out and buy some silk bedding right now, we don’t know what will! 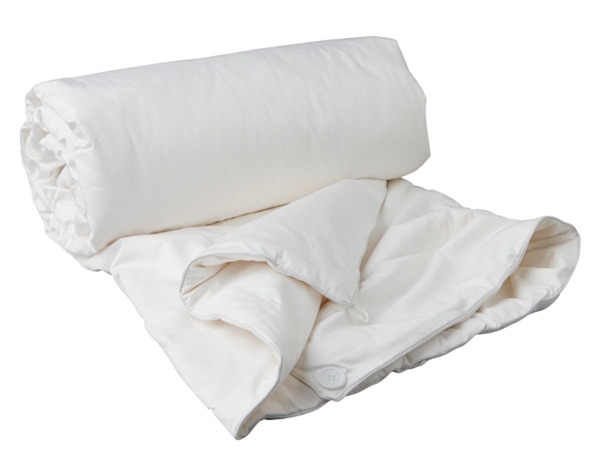 Silk filled duvets adjust to the body and to the ambient temperature of the room. So, by trapping air next to your skin, they keep you warm in winter while drawing heat away from the body in summer to keep you cool. Just imagine a light and thin duvet, which drapes softly over the body without weighing you down. And they are resistant to dust mites. And where to buy? Gingerlily are the leading specialists in silk bedding. Filled with the finest ‘A’ grade mulberry silk filling their pure silk duvet provides a luxurious and comfortable sleeping experience. So first on our shopping list is a pillowcase to keep those lines at bay. And we may even go the whole hog and buy some silk PJ’s too.